Allergies can range from inconvenient to life-threatening, but thankfully it’s quite easy to treat them. Allergy shots, which are a form of immunotherapy, reduce symptoms of allergic reactions by helping patients’ immune systems deal effectively with their allergen triggers. Here is a look at just how this treatment works—including who should receive them, what risks to consider, and their rates of effectiveness. Allergy shots function similarly to vaccines that prevent viruses. With a vaccine, patients are exposed to a (weakened) version of a virus, and this allows their immune systems to become accustomed to fighting off the virus. In the same way, allergy shots expose patients to allergens—which allows them to build up a resistance to the allergens over time. There are two basic phases of allergy shot treatment—build-up and maintenance. During the build-up phase, patients receive shots that slowly increase the quantity of allergens. Typically this phase lasts about three to six months, depending on the severity of the allergy, and most patients will need to get one or two shots weekly. 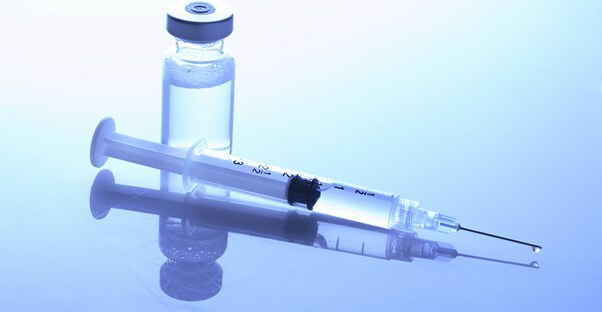 During the maintenance phase, patients don’t require shots as frequently—they may go two to four weeks between treatments. These shots can be quite effective for people with severe allergies that don’t respond well to traditional allergy medications. People who experience only seasonal allergies, such as those allergic to pollen, may only require shots during the times of year when their symptoms are the worst. However, people suffering from indoor allergens, such as pet dander, dust, or mold, may require year-round treatment. Emergency allergy shots are also available for people with severe reactions to bee stings and those of other insects. Unfortunately, allergy shots cannot provide help for people dealing with food allergies or a condition known as urticaria—which is marked by persistent hives breakouts. Additionally, people with heart or lung conditions should consult with their doctors before using allergy shots, as these problems can cause adverse reactions to the treatment. While most otherwise-healthy people will have no problems with allergy shots, there are a few rare but potentially serious risks associated with them. Most commonly, patients may experience some redness or irritation at the site of injection, but thankfully this is usually mild and clears up on its own after a few hours. Since allergy shots contain actual allergens, some patients may notice an increase in their symptoms before they start to improve. These often include sneezing, congestion, swelling of the throat, and, in severe cases, tightness in the chest. In extremely rare cases, patients may go into anaphylactic shock after receiving an allergy shot. This condition is extremely dangerous and can lead to an extreme drop in blood pressure and difficulty breathing. Anaphylactic shock normally occurs within 30 minutes of receiving an injection. For most people, allergy shots are very effective at treating existing allergies and preventing new ones from developing. However, they may not be 100% effective for everyone. One of the most common reasons this occurs is a failure to follow the precise treatment schedule. Even missing one injection can prevent the shots from doing what they’re supposed to. Additionally, extremely high levels of exposure to allergens can prevent the shots from working properly. In cases like these, it may be necessary for patients to alter their environment as well as receive allergy shots. Finally, allergy shots can be ineffective if one or more of a person’s allergen triggers are overlooked during the diagnostic process. If there’s no other apparent reason for allergy shots to be ineffective, it may be necessary to rescreen for additional allergies.